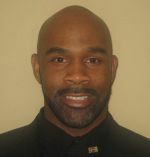 Edmond Davis is an Instructional Facilitator of History at Arkansas Baptist College and the University of Phoenix, both in Little Rock, Arkansas. His Master’s degree in History is from Louisiana Technical University, while his undergraduate degree was earned at Grambling State University. Davis is believed to have the largest collection of Arkansas Tuskegee Airmen history memorabilia in the country. That Collection is cataloged into the company he co-founded called Aviate Through Knowledge Productions, LLC. Materials from this collection is currently on display at the Mosaic Templar’s Cultural Center, and has been viewed at the University of Arkansas Pine Bluff, and the Little Rock National Airport. Davis has authored a number of articles on the Tuskegee Airmen, the Civil Rights Movement, diseases and women in aviation. He was a board member of the Aerospace Education Center (AEC) and is the current national Vice Chairman of History for Groove Phi Groove Social Fellowship Incorporated. The Philadelphia, Pennsylvania-born Davis is a public and motivational speaker. Edmond Davis also is a personal assistant to Mr. Milton P. Crenchaw, the only living civilian Supervising Squadron Commander to the Original Tuskegee Airmen. He is the author of the newly published book titled, Pioneering African-American aviators featuring the Tuskegee Airmen of Arkansas. Image Courtesy of Edmond Davis Pioneering African-American Aviators Featuring the Tuskegee Airmen of Arkansas is a study of little known black women and men who participated in the first four decades of U.S. aviation history. The book began originally in 2006 as a biography of … Read MoreArkansas Pioneers in Flight: African Americans in Aviation from the Natural State, 1932 to 1953.